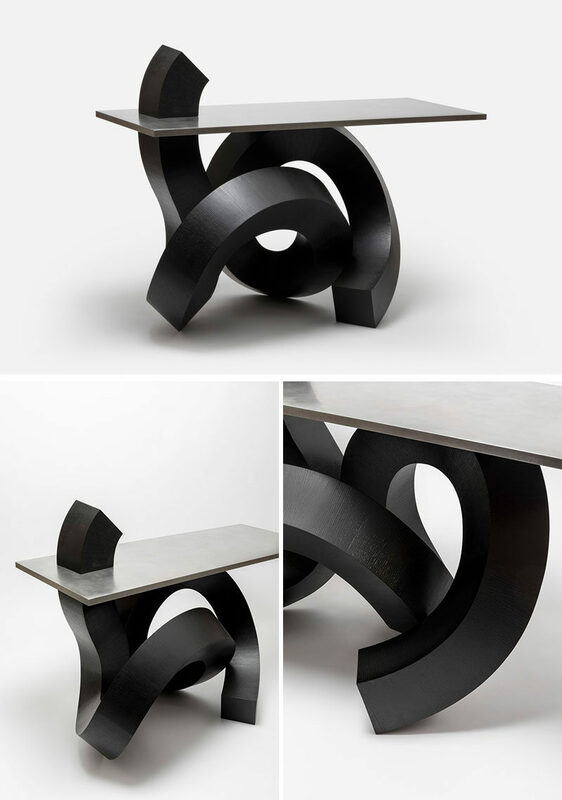 Taking inspiration from the flowing forms of calligraphy, the designer translated the lines of the characters into 3-dimensional shapes, that would then evolve into a table and a chair. 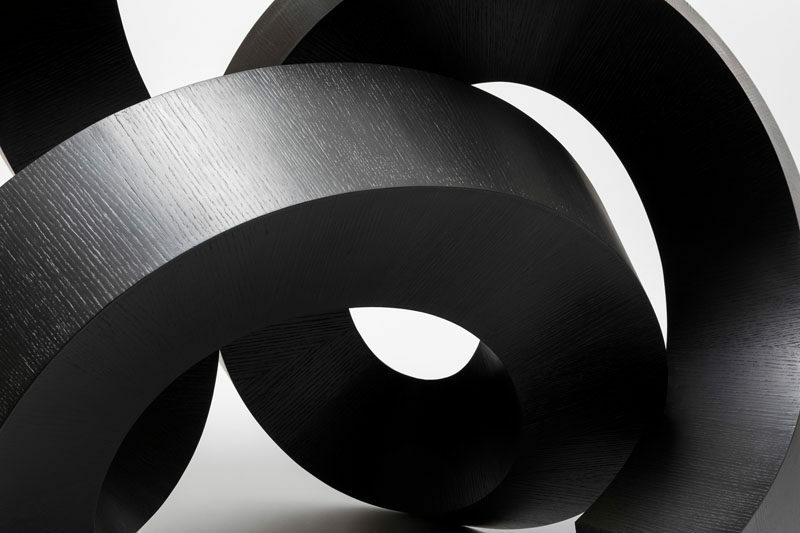 In order to realize the free curved form, Chulan Kwak applied the technique of paper craft to woodwork. 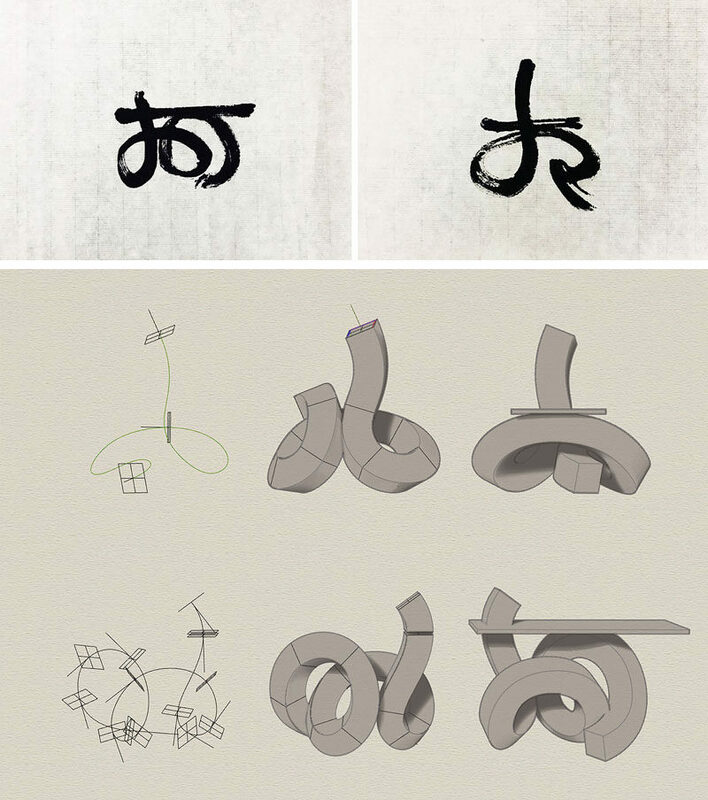 He first created the form through 3D software and then unfolded it to extract the accurate drawing. 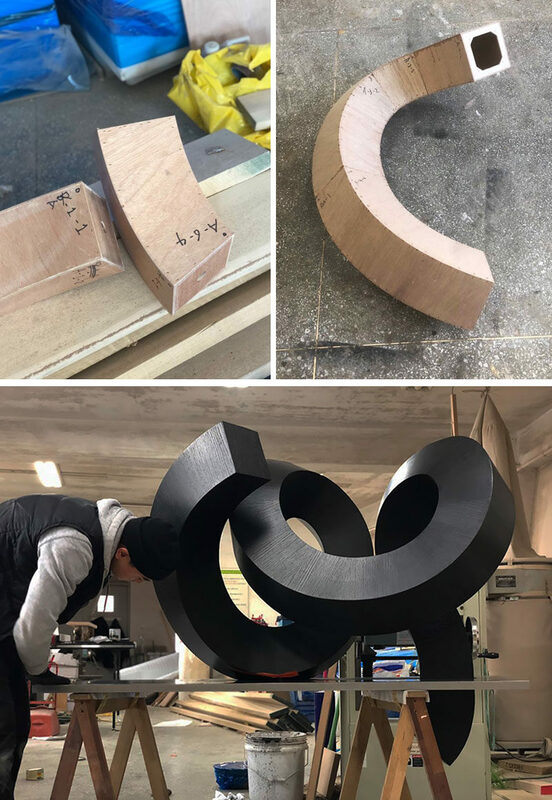 He used this method to precisely cut thin and bendable plywood with a CNC machine, and to adhere the edges of each parts correctly in order. 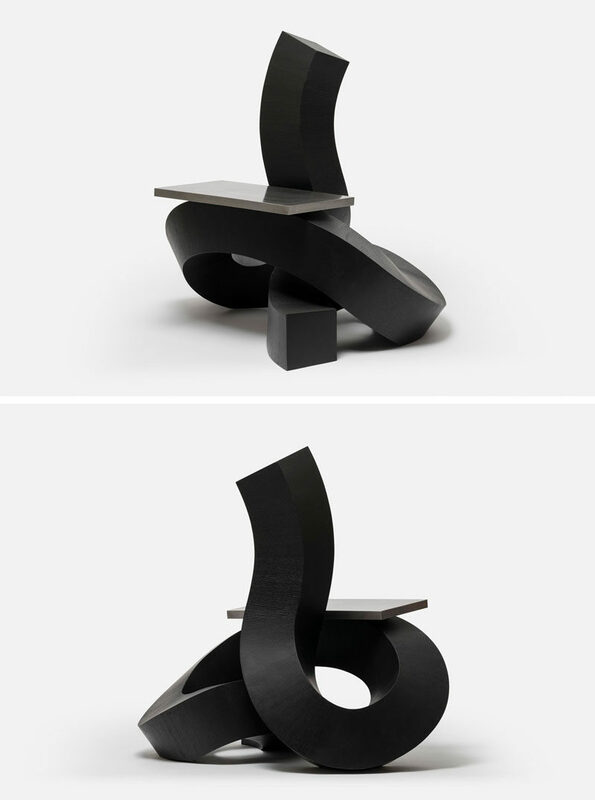 The first design in the ‘Cursive Structure’ series, is the chair. 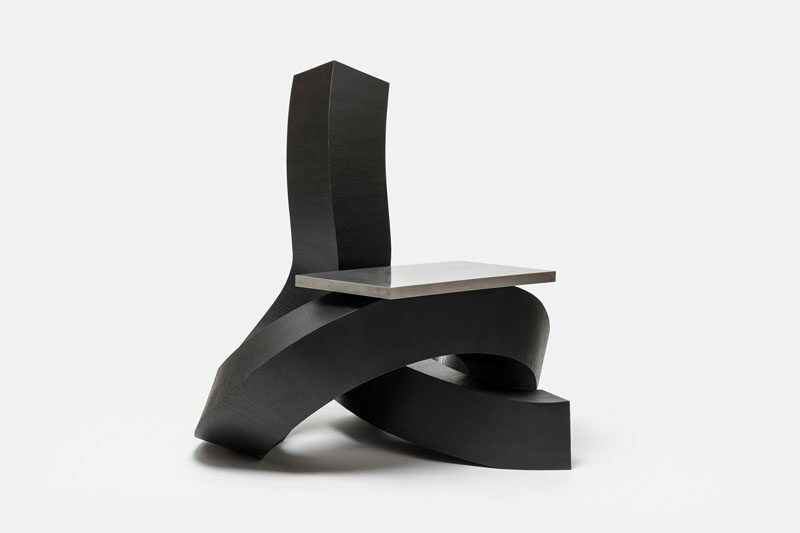 The 3-dimensional sculptural form has a small stainless steel plate that becomes the seat. The second design is the table. This time, the stainless steel plate is larger, and it surrounds one end of the twisting and turning base, creating platform for holding items. To create the dark stain on the wood, both designs were finished by dyeing them with Muck (ink used for Chinese brush-writing), creating a deep black color.